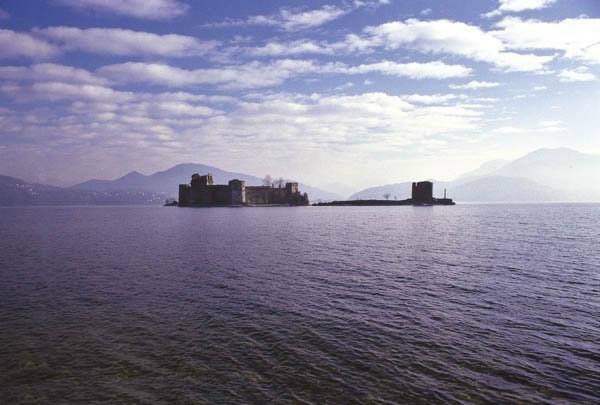 The view of the castelli di Cannero (Cannero castles) emerging from the lake waters and giving the impression of floating is very charming, and over the centuries has led them to be one of the most loved symbols of Lake Maggiore. 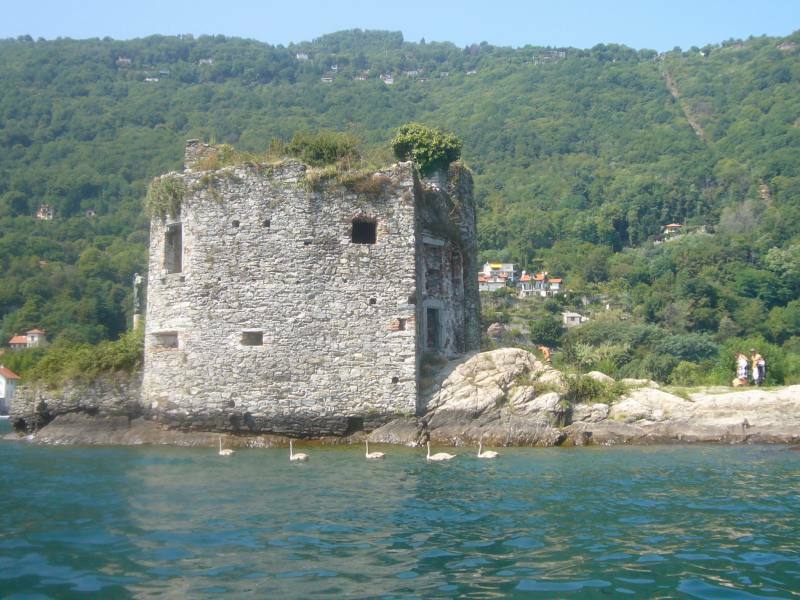 Despite their name, the two islets home to the castles are in the Municipality of Cannobio and not in that of Cannero Riviera. They currently cannot be toured as they are not safe. 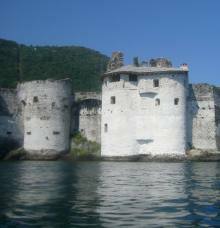 Built between the 1200’s and 1300’s, the two castles were inhabited by five brothers from the Mazzardi family from Ronco. Their nickname was “Mazzarditi" (or little Mazzardi). The difficult conditions of the dukedom of Milan at the end of the 14th century didn’t allow it to effectively control local tyrannies and the conflicts between the opposing factions of the Guelfi and the Ghibellini, who also lacerated the town of Cannobio. By taking advantage of these discords, the Mazzarditi were able to maintain their power over the coast for several years by suffocating any opposition with blood. It was only with the coming of the power of the new Duke of Milan Filippo Maria Visconti that this reign of terror was brought to an end. The castello di Terrafiume (Terrafiume castle) was immediately conquered, as was the Town Hall, and the attack begun on the castello Malpaga (Malpaga castle), which surrendered in 1414 due to a lack of supplies; it was flattened to the ground on orders by the duke. 30 years later, the islands were transferred from Duke Filippo Maria Visconti to Count Vitaliano I, son of Filippo I Borromeo and Franceschina Visconti, and from that moment onward, they belonged to the Borromeo family. 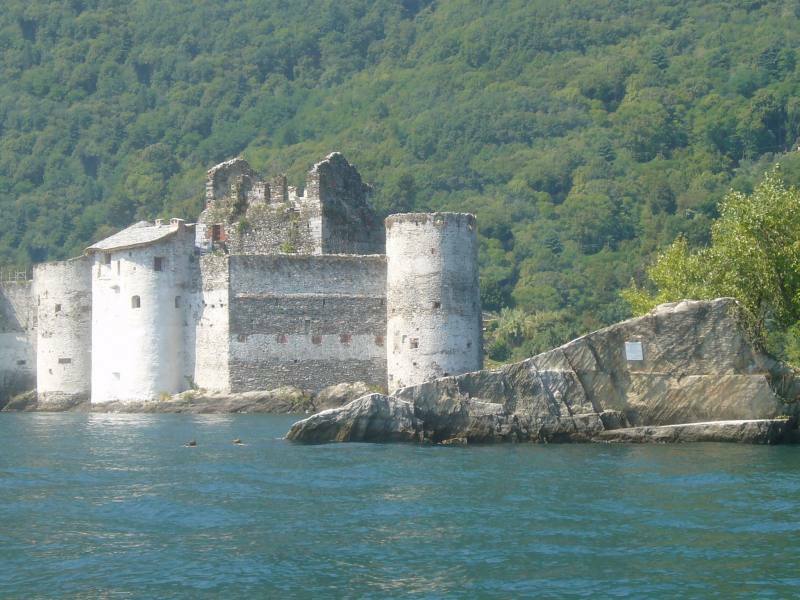 To defend himself against the Swiss raids after the loss of the Canton Ticino by the dukedom of Milan, Count Lodovico had a fortified fort built on the ruins of the islands in 1519. He called it “Vitaliana” in honour of the family from Padua who founded the Borromeo family. The death of Count Lodovico coincided with the progressive abandonment of the fort and its unstoppable decline. 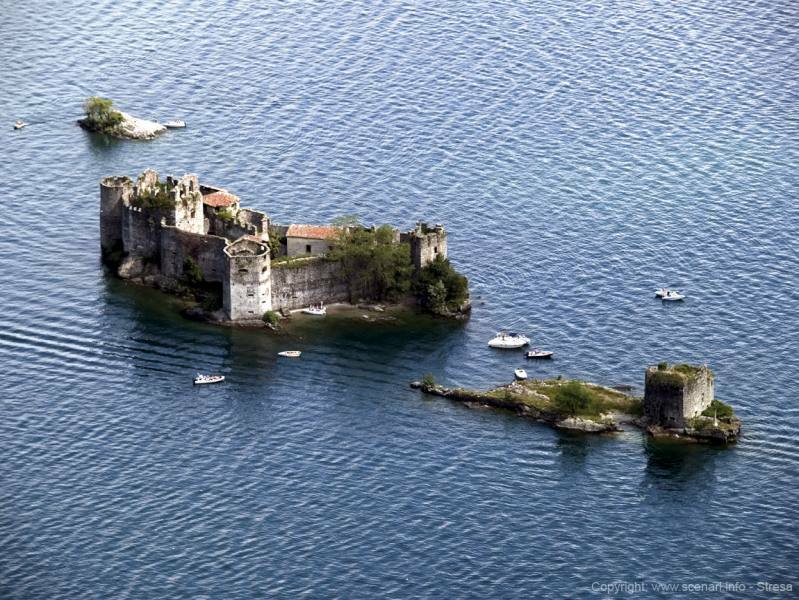 The islets are still owned by the Borromeo family, as is Isola Bella (Bella Island) and Rocca di Angera (Angera fort). Legend has it that after their defeat, the Mazzarditi were thrown into the lake waters with a stone tied around their neck, to drown. However, history tells us that they were simply banned from the town for 15 years, after which time they were allowed to return. 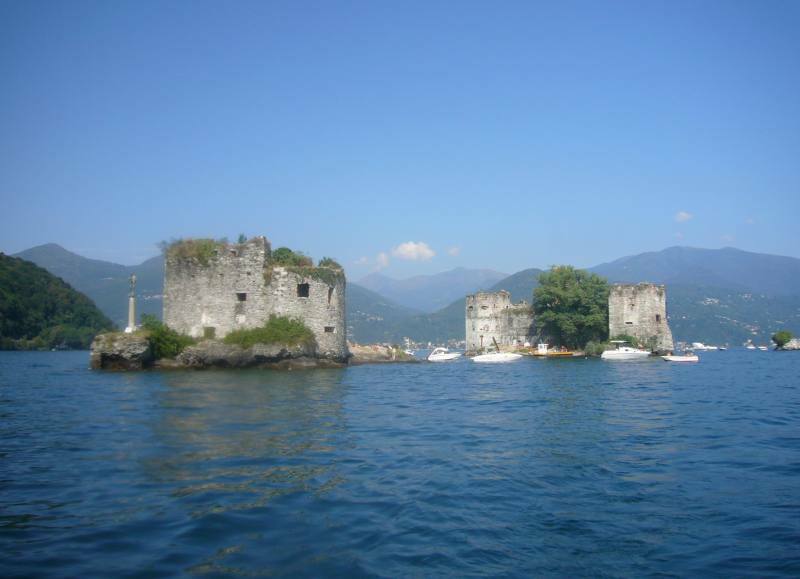 However, their fame as raiders is in several other stories: in order not to give their coffers full of riches to Duke Filippo Maria Visconti, it appears the bandits preferred throwing them into the lake waters. 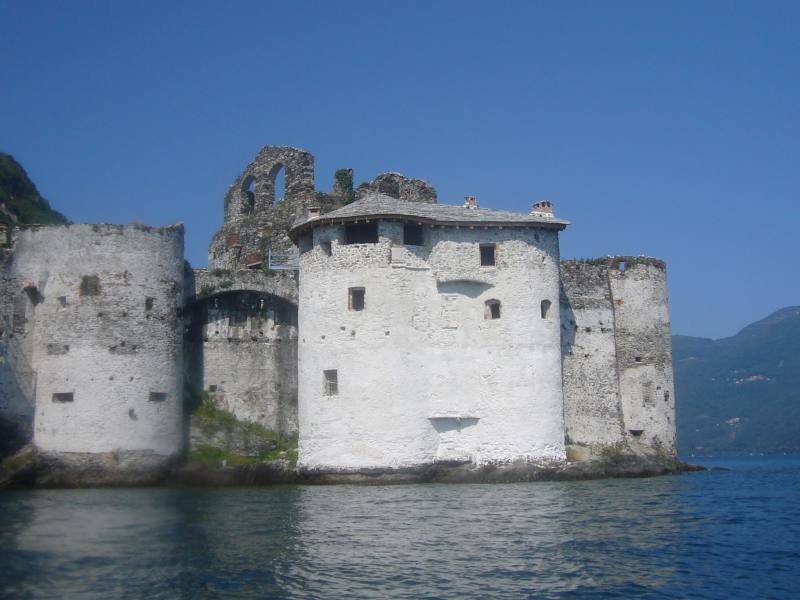 It is said that on especially foggy days, it’s possible to see a phantom vessel sailing about the castle thus reclaiming the old underwater treasure.